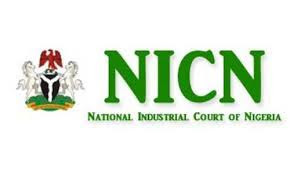 In recent years, the National Industrial Court has become the one-stop-shop for many labour disputes, although established in the year 1976 under Section 19(1) Trade Dispute Decree No. 7 of 1976, its status has become ever clearer since its further codification to the Constitution as a superior court of record by virtue of the provision of section 254A through the third alteration act 2010 No. 3, an amendment in the Constitution of the Federal Republic of Nigeria 1999. For many new wigs and old ones alike, commencing an action in the National Industrial Court is not a herculean task. Flowing from the laid down procedure contained in the “National Industrial Court of Nigeria (Civil Procedure) Rules 2017”, fillings at the Industrial Court should be as easy as eating cake. The following paragraphs will highlight the steps needed. First, it is pertinent to note that there several ways of commencing an action at the Industrial Court; a quick peek at Order 3 Rule 1 shows seven ways to commence an action. In truth, these ways of instituting an action in the Industrial Court are tailored to the nature of the claims and relief sought. Nevertheless, for the purpose of this article we shall focus on the most common way, Complaint. Order 3 Rule 2(2) of the N.I.C Rules 2017 clearly highlights that a Complaint is the best form action in circumstances where the said matter is one in which the court has exclusive jurisdiction as provided under section 254C par. (a)– (k) And (m) of the Constitution of the Federal Republic 1999 (as amended) or by any act or law in force in Nigeria. Where a matter is set for both interpretation and application a Complaint still remains the best option. This is a clear distinction from an originating summons that is adequate for just an interpretation of the relevant statute within the jurisdiction of the NIC. 4. List and number of copies of the document and other exhibits to be tendered at the trial. 2. A clear and concise statement of the material fact establishing the cause of action in chronological order on which the party relies which wherein the statement shall be sufficiently particularized to enable any opposing party reply. 3. be accompanied by a schedule listing of documents and the number of document and exhibit that are material and relevant to be used in the proceedings. Conclusively, it is key to note that the procedures for filing any kind of originating process In any court is its “Procedural Rules and Enabling Act”. For many who are aggrieved with their employers or former employers and want to sue, it is extremely important to consult a lawyer. This is simply because, Law is a Lawyer’s trade. Lawyers are trained to identify a cause of action and represent their client’s interest. In the case of Bello Raji v. X the court mentioned that “the duties of proctors (lawyers) consist in acquiring a thorough knowledge of the rules of their profession in applying themselves to the affairs committed to their charge with such vigilance, diligence and care as that their client may not be in any way surprised”.